Creative dance and performing arts endeavors sometimes go far beyond the typical ballet companies and community theatres. For some, the term creative expression reaches much deeper, bringing to the surface raw emotions and personal beliefs that can bring magic to a regular stage. Read on to discover a few of these unconventional forms of dance and mainstream performance tactics that have carved a special niche in the world of creative arts. When it comes to creative dance and performing arts, much of it is secular. In fact, dance rarely intermingles with religious or political beliefs, unless it happens to be a specific project geared toward expressing specific views. Overall, ballet companies - and even more progressive forms of dance such as modern - take on themes of society as a whole, or revive traditional works in an innovative way. However, some organized churches have begun to embrace the creative arts in a whole new way - through outreach and liturgical dance. Liturgical dance has been a part of both traditional and progressive churches for quite some time; however their outreach-oriented form of dance is a newer phenomenon. Some outreaches are geared toward promoting the tenants of their faith and recruiting new members. Others are to bring light to a common human struggle such as alcohol or domestic abuse, using the message of God's love to combat these issues. Evangelical Christianity is at the forefront of such type of dance, and groups such as Youth with a Mission have thrived in the creative arts. Creative dance and performing arts within the church body also take on the forms of acting and pantomime as well. Sometimes, special dramas called "human videos" involve adding a silent skit to music. Whatever the style or method, Christian dance and other religious disciplines offer a positive and healing message to its movements. Today, special needs kids have more opportunities than ever before. This includes performing arts endeavors such as the Allessendre Special Needs Dance School based in the United Kingdom. Along with its dance company, the school teaches and recruits dancers with various special needs, including Down's Syndrome. The results have been remarkable as beautiful productions have been produced by these very special children. 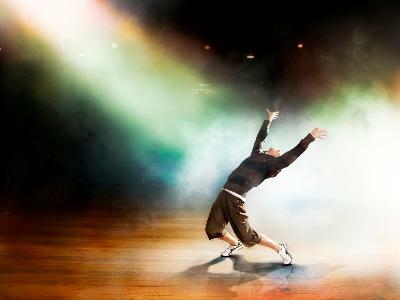 Similar opportunities exist in the United States, as is found within dance therapy programs throughout the nation. Creative dance opportunities are no longer limited to what society considers to be "healthy, functional children," as youngsters are taught innovative ways to express themselves artistically, without limits being placed upon them. A final genre of unique dance experience is found in ethnic festivals. While ethnic dance is commonly taught in dance studios, there are much large-scale productions to enjoy and even participate in. One example of this is the San Francisco Ethnic Dance Festival, which takes place every summer at the Palace of Fine Arts in the heart of the city. Dancers from all over audition to take place in this creative celebration of multiple nationalities, and even more tourists stop by to check it out. This festival, along with many others, utilize dance and drama in impressively creative ways to promote diversity, tolerance and a greater understanding of our neighbors. When it comes to creative dance and performing arts that step outside of the box, there are many further examples beyond just those mentioned above. In fact, small dance studios that otherwise would go unnoticed are oftentimes the leaders in this artistic revolution of using movement for the promotion of positive community goals. To find out how you can get more creative with your dancing and make a difference in your world, consider perusing the Internet for ideas of what has already been done in other regions, or take in a cause personally close to your heart and discover ways to make an impact.